Cate Blanchett makes her Broadway debut in Andrew Upton's new adaptation of Chekhov's Platonov. 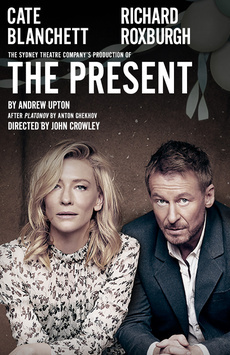 The Present is set post-Perestroika in the mid-1990s at an old country house where friends gather to celebrate the birthday of the independent but compromised widow Anna Petrovna. At the center is the acerbic and witty Platonov with his wife, his former students and friends and their partners. They may appear comfortable, but boiling away inside is a mess of unfinished, unresolved relationships, fuelled by twenty years of denial, regret and thwarted desire.